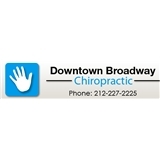 Downtown Broadway Chiropractic (Flushing) - Book Appointment Online! He is always pleasant and understanding. Dr. Allen always has a smile and explains everything thoroughly. I am happy to be treated by him and always refer my friends to him!